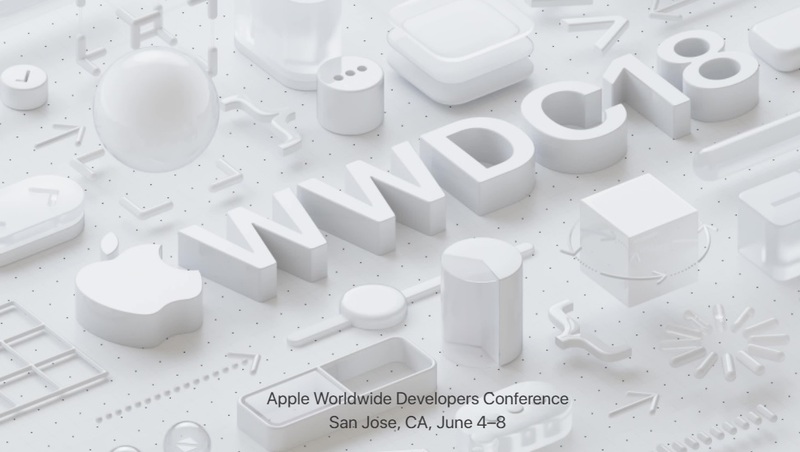 The biggest event dates of 2018 Apple Worldwide Developers Conference have been announced, and it will be held between 4th June 2018 to 8th June 2018 at McEnery Convention Center in San Jose, California (CA), USA. This year’s biggest WWDC 2018 event will be kick-off with a keynote event host by Mr Tim Cook on a first day i.e. 4th June 2018. Just like past WWDC events, Apple CEO will reveal the company's achievement of last year and will also unveil the upcoming Apple's products and services for the current year. So in this article, we are providing all the details related to official WWDC 2018 schedule, keynote, event dates, time, live steam links, sessions, tickets, venue and registration information as already announced by Apple. You can also follow us on event date with this hashtag #WWDC18. 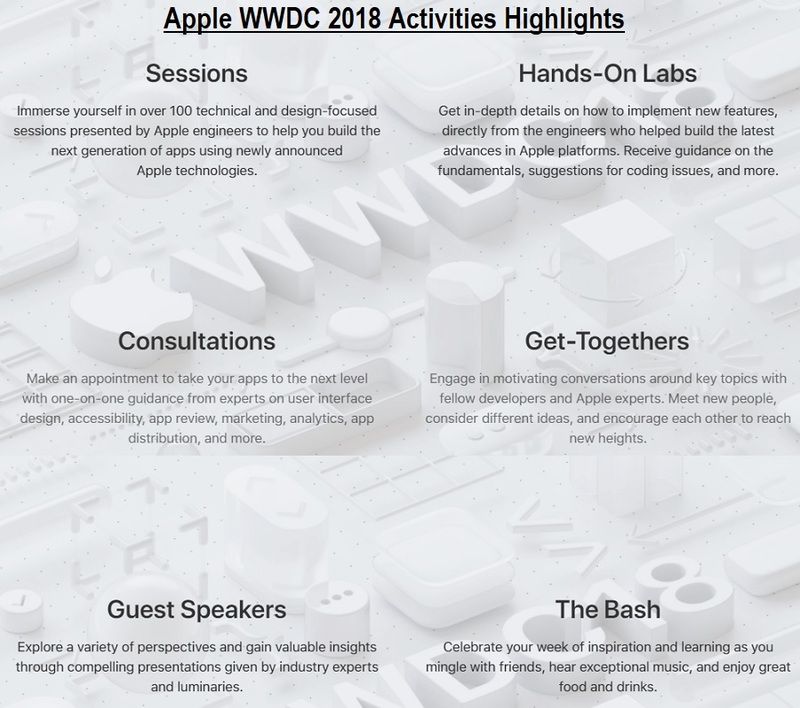 Worldwide Developers Conference 2018 is all about Apple's upcoming products and services announcements mainly related to its software division, rather than hardware. Apple device users can expect the official release of developer preview beta builds of iOS Firmware for iPhone, iPad, and iPod touch, tvOS for Apple TV, watchOS for Apple Watch, and macOS Software for Mac devices. So the major announcements include but not limited to: iOS 12, watchOS 5, tvOS 12, macOS 10.14 and many other surprises are also expected. Apple is also focusing on HealthKit, SiriKit and HomeKit software in order to make HomePod hardware product more competitive in the fastest growing technology market. The tickets price for WWDC 2018 event is $1,599 USD and it’s available to Apple Developer Enterprise Program and Apple Developer Program members only registered as of 13th March 2018 at 10:00 a.m. PDT. The WWDC 2018 tickets will be offered through the random selection process, instead of first come first serve basis. The WWDC 2018 registration is open until Thursday, 22nd March 2018 at 10:00 a.m. PDT. For more details related to WWDC 2018 Scholarships, visit this link. How to Stream Live WWDC 2018 Event? This year 2018 Worldwide Developers Conference will be stream live to all general public worldwide through official WWDC Application available for iPhone, iPad, iPod and Apple TV and also via WWDC official website for Windows and Android smartphone and tablet users to Watch WWDC 2018 Keynote, Speakers, Sessions and Videos Online. The Live WWDC 2018 Streaming Link will be available and work from 4th June 2018 to 8th June 2018 at 10:00 a.m. PDT. We will publish the dedicated article on this matter just before the event day. So bookmark our website.